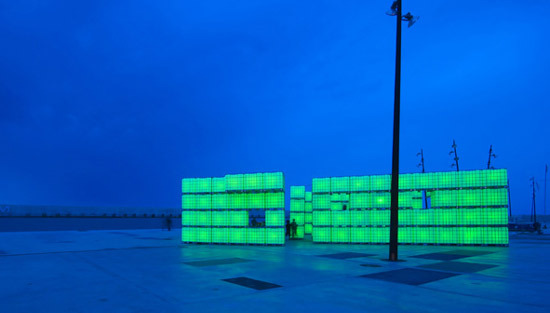 After the big sucess of a glowing club in Berlin, another one with the same concept has opened in Barcelona, Spain. 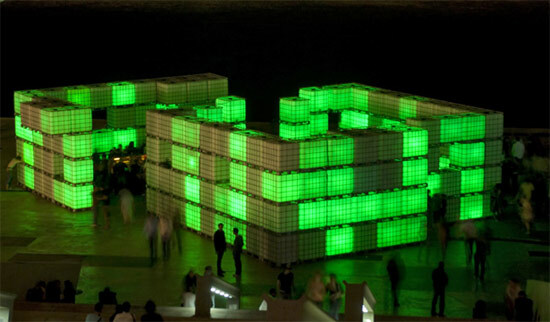 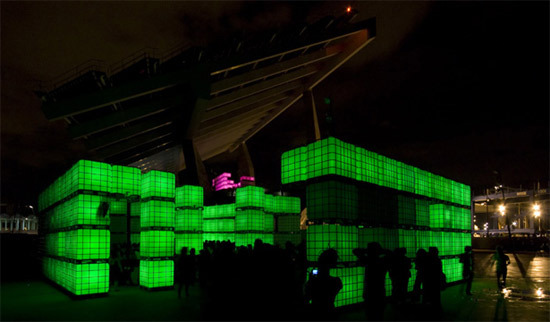 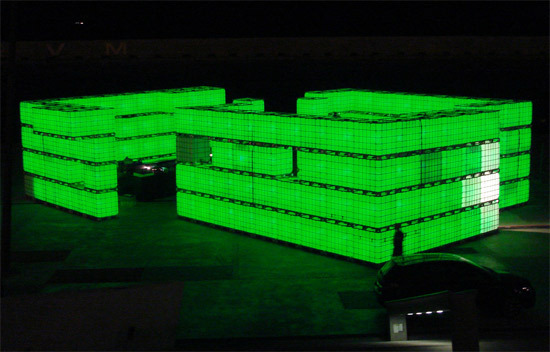 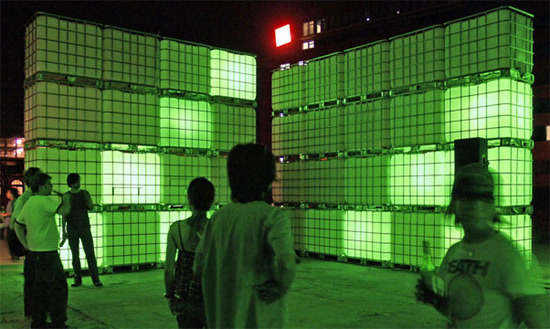 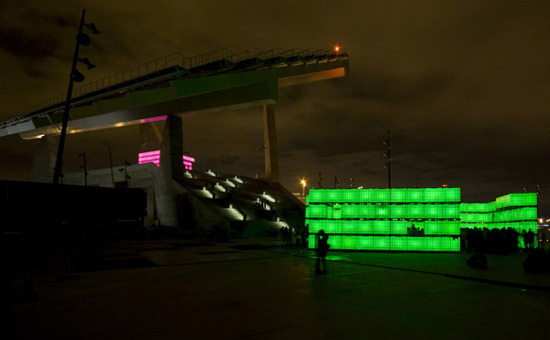 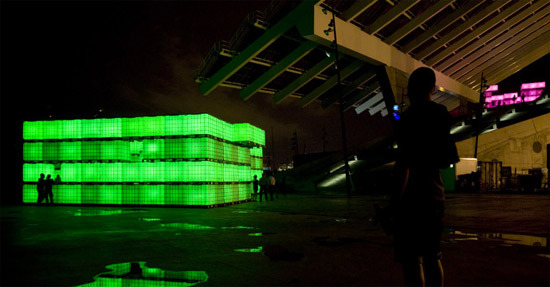 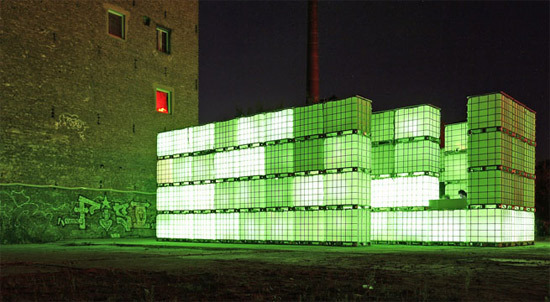 Kubik Barcelona is a temporary mobile open-air nightclub that consists of dozens of illuminated water tanks. 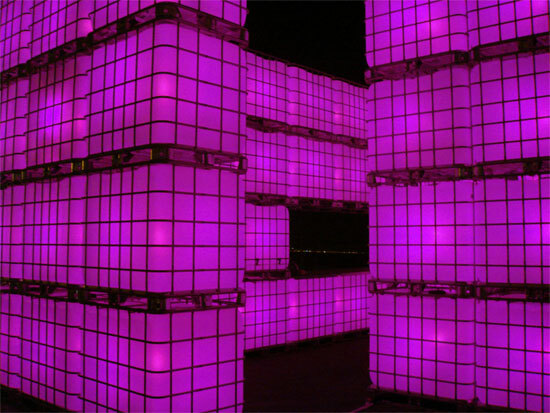 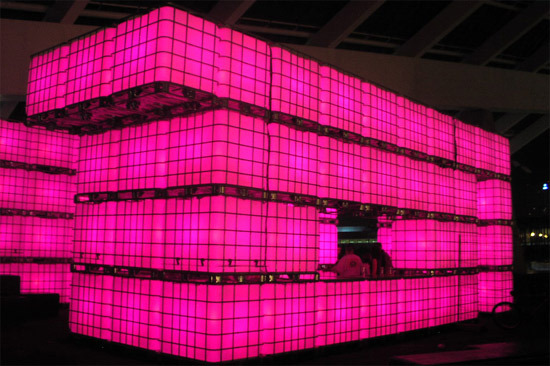 It is devided in two part where one is pink and the other green, and the cubes are changing to the rhythm of the music. 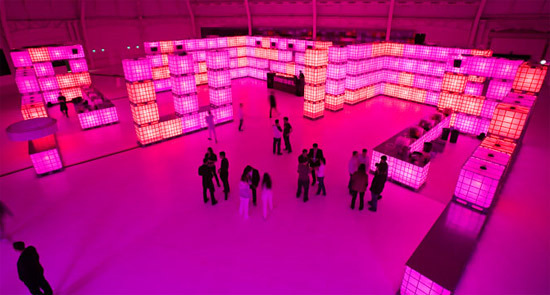 The same type of club has been seen in Milan and Amsterdam as well. 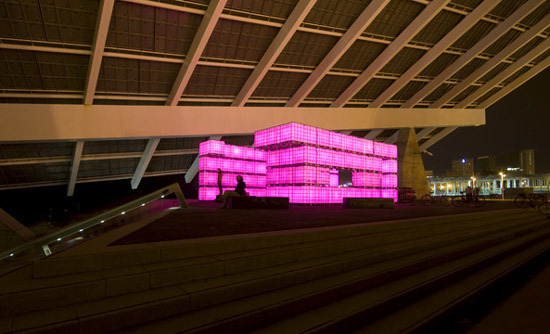 Other unusual mobile building is this house that looks like a giant egg.